Should You Buy Inotek Pharmaceuticals Corp (ITEK)? Is Inotek Pharmaceuticals Corp (NASDAQ:ITEK) going to take off soon? Money managers are buying. The number of bullish hedge fund bets went up by 4 recently. ITEK was in 16 hedge funds’ portfolios at the end of September. There were 12 hedge funds in our database with ITEK positions at the end of the previous quarter. The level and the change in hedge fund popularity aren’t the only variables you need to analyze to decipher hedge funds’ perspectives. A stock may witness a boost in popularity but it may still be less popular than similarly priced stocks. That’s why at the end of this article we will examine companies such as Nam Tai Property Inc (NYSE:NTP), Quotient Ltd (NASDAQ:QTNT), and Ascent Capital Group Inc (NASDAQ:ASCMA) to gather more data points. What have hedge funds been doing with Inotek Pharmaceuticals Corp (NASDAQ:ITEK)? At Q3’s end, a total of 16 of the hedge funds tracked by Insider Monkey held long positions in this stock, an increase of 33% from the previous quarter. 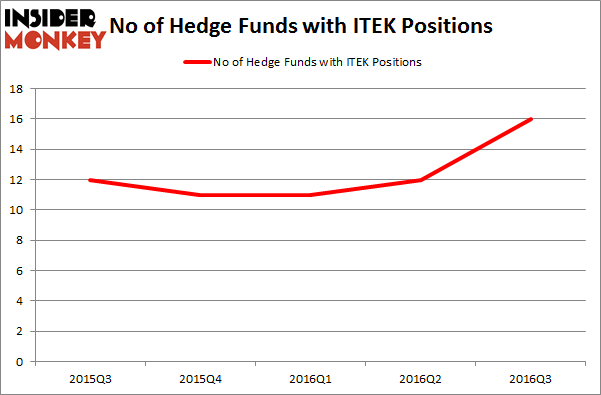 The graph below displays the number of hedge funds with bullish position in ITEK over the last 5 quarters. With the smart money’s capital changing hands, there exists an “upper tier” of noteworthy hedge fund managers who were boosting their stakes substantially (or already accumulated large positions). According to publicly available hedge fund and institutional investor holdings data compiled by Insider Monkey, OrbiMed Advisors, led by Samuel Isaly, holds the biggest position in Inotek Pharmaceuticals Corp (NASDAQ:ITEK). OrbiMed Advisors has a $17.5 million position in the stock. On OrbiMed Advisors’s heels is Point72 Asset Management, led by Steve Cohen, holding a $8.3 million position. Other members of the smart money with similar optimism comprise Phill Gross and Robert Atchinson’s Adage Capital Management, James A. Silverman’s Opaleye Management and Israel Englander’s Millennium Management. We should note that none of these hedge funds are among our list of the 100 best performing hedge funds which is based on the performance of their 13F long positions in non-microcap stocks. Is 2U Inc (TWOU) A Good Stock To Buy? Is Bottomline Technologies (EPAY) A Good Stock To Buy? Is Cohu, Inc. (COHU) A Good Stock To Buy Right Now? 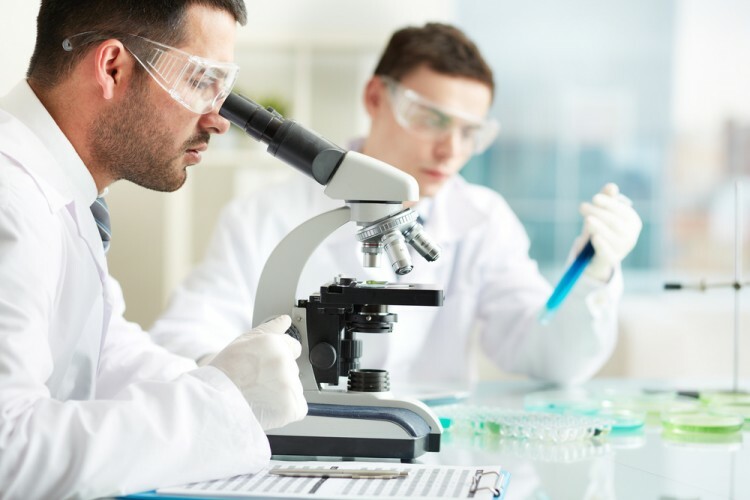 Is Tobira Therapeutics Inc (TBRA) A Good Stock To Buy? Hedge Funds Are Selling Concordia International Corp (CXRX) Is Cryolife Inc (CRY) A Good Stock To Buy?